Country music legend Mickey Gilley was born March 9th, 1936 in Natchez, Mississippi. He grew up playing piano and singing boogie-woogie & gospel music with his famous cousins Jerry Lee Lewis and Jimmy Swaggart. Mickey Gilley's solo career didn't take off until quite a few year's after Jerry Lee's exploded in the late 50's. While he was waiting for his big break, he opened a Pasadena, Texas honky tonk club in 1970 called Gilley's Club, and performed regularly. Gilley's Club was a huge success, with many up and coming country music starts took the stage there. 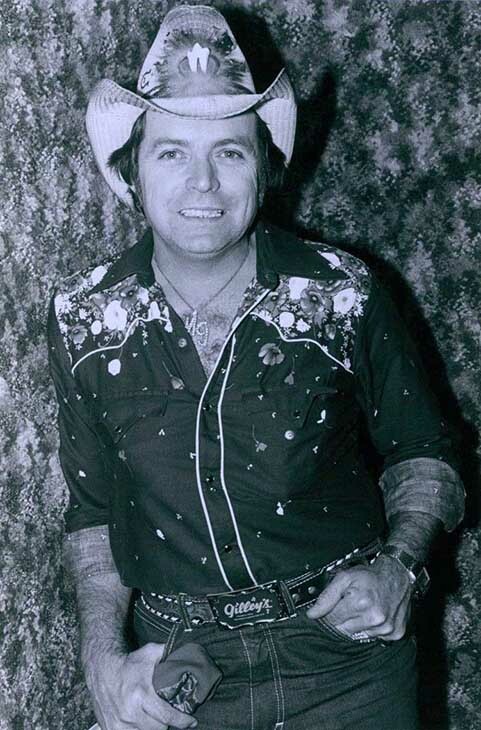 It wasn't until Mickey Gilley released a cover version of songwriter Tim Spencer's Room Full of Roses (1974) that he had his first #1 country music hit. Below, Mickey Gilley performing A Room Full of Roses live in 1974 on The Porter Waggoner Show. During the 1970's Mickey Gilley had a string of 15 Top Ten country music chart hits. He racked up several Academy of Country Music Awards in 1976 - Entertainer of the Year, Album of the Year, Single of the Year, and Top Male Vocalist. He took the 1976 Academy of Country Music Award for Song of the Year for his performance of Don't All the Girl's Get Prettier at Closing Time. Below, Mickey Gilley sings Don't All the Girl's Get Prettier at Closing Time live in concert. His next big break came with 1980's Urban Cowboy movie, starring Debra Winger, Scott Glenn, and John Travolta. Urban Cowboy heavily featured Gilley's Club in Pasadena, Texas as well as Gilley's cover of Stand by Me, resulting in a crossover pop hit, and revitalizing his country music career. Below, Mickey Gilley performing his #1 country music hit single Stand By Me in Urban Cowboy. Between 1980 and 1983, Mickey Gilley accumulated another 9 #1 country music hit songs. In addition to Stand By Me, these chart-toppers included the singles True Love Ways, That's All That Matters, A Headache Tomorrow (OR a Heartache Tonight), You Don't Know Me, Lonely Nights, Put Your Dreams Away, Talk to Me, and Fool for Your Love. Below, Mickey Gilley performing his #1 hit single from 1981, You Don't Know Me, written by Cindy Walker and Eddy Arnold. In the late 80's Mickey Gilley's music recording career was starting to wane. 1986's Your Memory Ain't What it Used to Be was one of Mickey Gilley's last #1 Country Music hits (17 in total). Below, Mickey Gilley sings Your Memory Ain't What it Used to Be. Gilley's Club in Pasadena closed in the late 1980s, and Mickey Gilley moved to Branson, Missouri. 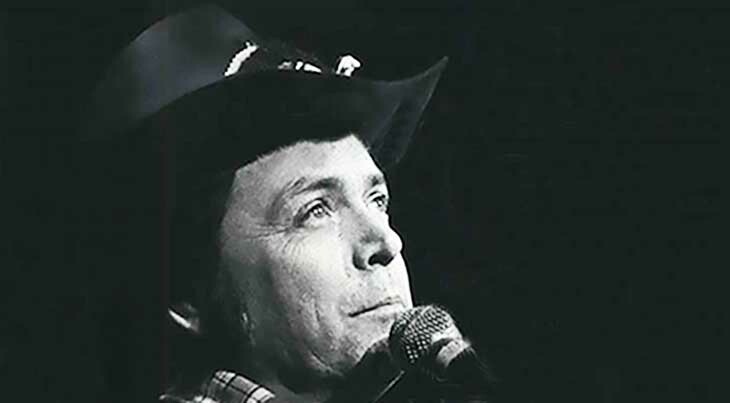 He opened the Mickey Gilley Theatre there in 1989 and has continued to perform ever since, with the exception of a forced 3 year hiatus in 2009 while he recovered from partial paralysis caused by an accident while helping a friend move. Surprisingly, despite numerous Academy of Country Music Awards and over 30 Top Ten country music hit songs in the 1979s and 1980s, Mickey Gilley has not yet been inducted into the Country Music Hall of Fame. "I don't intend to retire. I'll be out there on the road..."
See you on the road, Mickey Gilley!